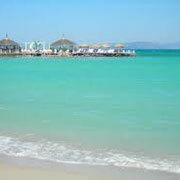 Cesme is located on the west coast of Turkey, where the Mediterranean and Aegean seas meet. Its fine sandy beaches and crystal clear water make this historical town a must-go destination for a relaxing seaside break. 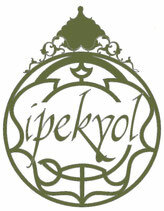 Ipekyol hotel is right behind Cesme fortress, in the heart of the old district. It is the starting point of a journey full of discovery. A stone’s throw from the hotel, the pedestrian shopping street is lined with small restaurants where you’ll sample the local gastronomy. Spend a day visiting the fortress, dating back from the 16th century and renovated as a museum. The church of Aya Haralambos is another must-see landmark, and doubles as a cultural centre which hosts regular art exhibitions. 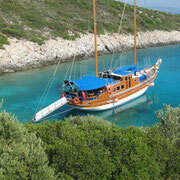 Should you crave for a day cruise, the St Mary wooden schooner will take you on-board for a delightful day at sea. 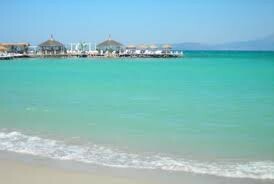 You can also unwind on one of the neighbouring beaches of Ilica, Dalyan or Altinkum. 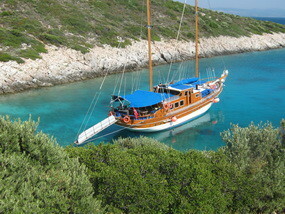 Small shuttle buses called Dolmus will bring you there. Cesme marina is a five-minute walk from the hotel, and boasts a variety of artisan stalls, international designers’ stores and restaurants. Its cafes will be the perfect backdrop for a late afternoon break spent sipping a cold limonata. 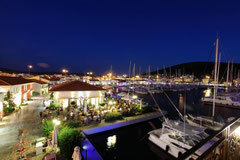 The marina also has a lively nightlife owing to its array of bars with many live gigs from local or international bands.